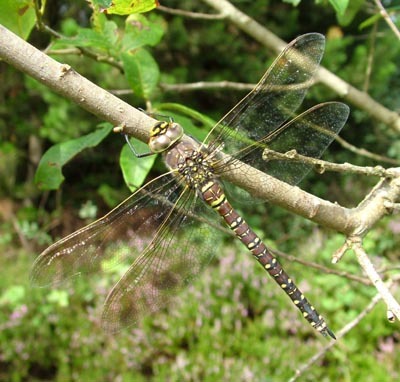 The Common Hawker flies from mid-June to September, and is found in peat bogs. The species name juncea makes an association with rushes, although I have seen them perched more on Willow than anywhere else. Length is 73 mm., making it one of our largest insects. The female lays her eggs underwater on vegetation at the edge of a pool, stream or ditch. The typical habit of the adult is to fly patrols over a fixed route, often low over water. 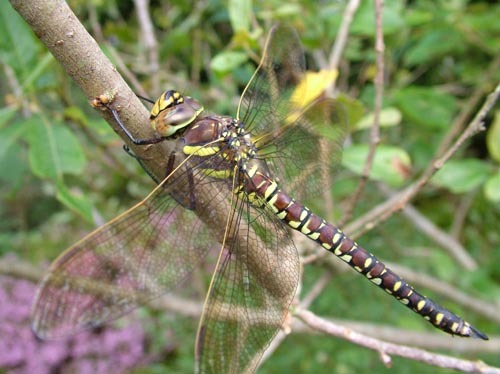 Insect prey is caught in mid-flight, when the Hawker flies off to a post - usually a tree - to consume its victim. 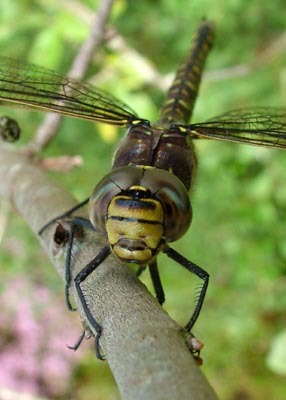 I've seen them taking moths, butterflies, wasps, hoverflies and smaller damselflies. The spiked front legs, used to capture and retain prey in flight. 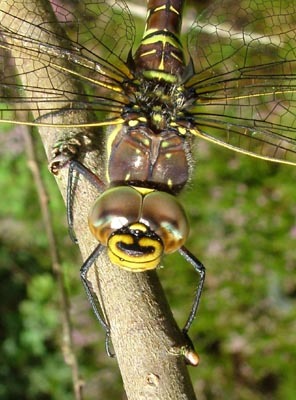 The large eyes on a head that can swivel 180 degrees in each direction.